Last chance pre-orders will go live TODAY AT NOON EST (9:00 am PST) on thenecastore.com. We anticipate this being a very short window, so be ready! 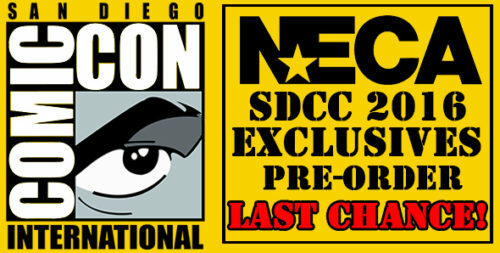 Can I still buy your exclusives at Comic-Con? Yes. 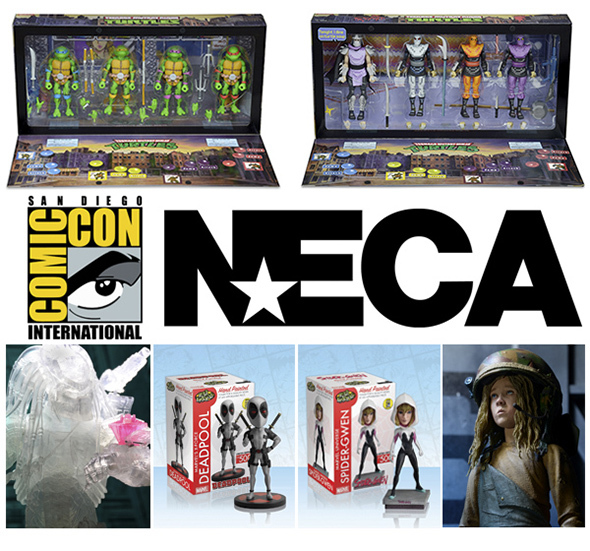 We have set aside a limited quantity for purchase in our booth – for full details on how to buy at the show, visit the SDCC EXCLUSIVES FAQ. The same FAQ also contains VERY IMPORTANT information on how to pick up your pre-order at the show. Come visit us in booth #3145 at San Diego Comic-Con!